My interest in the treatment and prevention of Alzheimer’s stems from my personal experience of caring for my parents over an eight-year period. My father died in two and a half years with frontal temporal lobe dementia with aphasia. My mother who died in May, was diagnosed with Alzheimer’s. Both lived and died in the family home. I learned a great deal over the years about the devastation dementia and Alzheimer’s has on individuals, relationships, family members and caregivers. Please note there are differences between the diagnosis of dementia and Alzheimer’s. The effects on the family and caregivers appear to be the same. I also questioned myself, is this the life I have to look forward to? Dr. Ann Aresco and I began to discuss what preventive measures individuals can take to reduce the risk of developing Alzheimer’s and how to support those most affected by the condition. My experience with the drugs used to slow the decline of progression was not good. The drugs quickly lost their efficacy and cognitive decline appeared to rapidly increase. My hopes of stabilization soon disappeared. I had to face the fact that the person I had known all my life was no longer present. I felt hopeless and ineffective. Keeping the body’s defenses from trying to cover the brain cells with amyloid plaques. The human body is amazing. Sometimes however the defensive reactions turn out to cause bigger problems. The research on amyloid plaques previously seen as the procrastinator in Alzheimer’s now shows it is a protector. It is a defense mechanism that is attempting to save the brain cells from destruction but ends up blocking the signals between the cells. These signals once cut off cause the symptoms of cognitive decline. I’m sure you realize this is a very simple explanation of the effect it has on the brain. It has taken many doctors and many scientists studying for many years to identify what is going on that causes Alzheimer’s. In the end, preventing the brain cells from trying to protect themselves is how to prevent Alzheimer’s. So how do you prevent a defense? You take away the trigger to the defense. Those triggers can be many – inflammation being the most important to prevent. This may come from toxins, foods like sugar, poor nutrition, hormone abnormalities, viruses and many attacks to the body that lead to so many imbalances. We see this over and over again. As an example: hyperlipidemia or high cholesterol. Having excess cholesterol isn’t the real problem that causes artery walls to thicken; the real problem is caused by inflammation in the arteries. The cholesterol is used to protect the artery from the inflammation collecting in that area. Eventually it becomes too thick and creates the health issues. Prevention therefore isn’t lowering cholesterol, it is lowering inflammation. This is the case with Alzheimer’s as well. Stop the bodies’ defense mechanism from responding to inflammation. Alzheimer’s is reported to cause 50 – 80% of all dementia cases according to Dr. Raj Shah of the Rush Memory Clinic in Chicago. There can be many causes of memory loss including B12 deficiency, thyroid, kidney, brain or liver disorders. Memory loss and confusion are not a normal part of aging. People presenting with confusion, short term memory loss, agitation, mood swings and impaired judgement may be showing the first signs of Alzheimer’s. One incident or sign is not diagnostic. There could be many other reasons these present themselves. It is when the signs increase in frequency and severity that we begin to be concerned, especially when our loved one has difficulty with familiar tasks, planning or problem-solving, misplacing or hiding things, confusion with time and place, difficulty communicating or repetitive speech or actions, wandering, withdrawal, inability to recognize family and friends, problems with motor skills, difficulty dressing, decline in self care and hygiene, delusions, paranoia, aggression, trouble sleeping and regressed behaviors. Unfortunately, as the symptoms increase the toll on caregivers and family increases. At this stage the main focus for the afflicted individual is providing a safe environment. The focus for the caregiver and family members is education and personal support. Alzheimer’s testing: It appears that the only research advantages accomplished in Alzheimer’s may be in the testing. For years the only way to diagnose Alzheimer’s was autopsy. Now that inflammation and toxins like heavy metals as well as missing nutrients from diet or poor digestion have been determined to be detrimental, testing has become key to preventing the onset and advancement of disease. Testing helps identify what needs to be addressed before the diagnosis of Alzheimer’s. Much the same as so many other conditions, testing helps to identify the possible cause of Alzheimer’s and therefore the prevention steps needed to treat the individual. If the genetic markers are found before the symptoms begin, it’s best to begin a prevention program right away. If the symptoms are already present – stopping the progress and possible reversal of the disease is the only option. There are no effective pharmaceuticals to stop and reverse Alzheimer’s. This is interesting to think about from a testing and prevention perspective, as some testing is to identify toxins that may be driving the condition into a worsening state. You have to wonder if the pharmaceuticals wouldn’t be more of a problem than a solution. Testing – looking for the target while treating the condition. One of the best things about prevention is you can start treating the patient before you know what you are treating. In the medical world if there is no diagnosis it is difficult to determine the treatment. In the world of preventative medicine, it is the first step no matter what. What is the patient eating? Are sleep and elimination working properly? Are there signs that nutrients are not optimal? Are there signs that nutrients are being self prescribed and over dosed? When a patient comes into the exam room with a grocery bag of supplements and drugs, you know that they have been trying to alleviate symptoms any way they can. That doesn’t usually work in their favor. Taking a whole bunch of supplements when the digestion itself is the problem is a lot of wasted money and time. The treatment protocol for dementia and Alzheimer’s patients begins with prevention. Once the disease or condition sets in, the task of treating the condition becomes much more difficult. Learning new activities such as dancing, creating art, reading, word and number games, learning a language or how to play a musical instrument have been shown to keep the brain active and assist in the development of new neural pathways. Physical activities such as walking, swimming, dancing and doing weight training exercises are essential in combating stress, anxiety and depression, maintaining brain health. Eating a brain healthy diet, intermittent fasting and taking appropriate supplements are critical. Dr. Dale E. Bresdesen in his book “The End of Alzheimer’s: The First Program to Prevent and Reverse Cognitive Decline” provides several cases studies on the reversal of symptoms using these methods. Nine of the first ten patients paced on the protocol displayed significant improvement within three to six months. Subsequent studies have yielded similar results. Several of his patients appeared with him on Dr. Oz’s television program to attest to the changes they have experienced – including being able to recognize people (facial blindness), improved reading comprehension and recall, improvement in vocabulary and word retrieval, clarity of thought and thinking speed, improved sleep, driving skills and less fatigue. Alzheimer diet: The individual’s treatments will begin with the diet that the patient needs, anti-inflammatory to say the least. Added to that, foods need to be providing the nutrients to help the body do what it needs to stop the progression of the disease. Getting the patient digesting properly is the first line of treatment. Eating all whole foods and not digesting them can still lead to malnourishment. Are the nutrients the patient has enough? Is there a need to treat for toxins and making sure that more toxins aren’t entering the body to keep the Alzheimer’s progressing? As is true in most diseases, what that patient is consuming is going to be a key factor. Can the patient do it? Or is the family that surrounds them capable of making changes? The education about treating Alzheimer’s can be equal to the education on preventing Alzheimer’s. It is therefore a valuable education for the family on how to face one’s own future health with less stress knowing that what is keeping your loved one healthy is going to do the same for those looking to prevent any onset of the disease. My experience with Alzheimer’s was limited. Before my family moved to Arizona so that I could go to medical school, my mother in law Josie was beginning to show the signs of her cognitive decline. It was considered senior moments at that time but I was certain it was more than that. When I saw her gazing at her oldest grandson as if he was a total stranger I knew something was wrong. He didn’t miss it either. “Gram, it’s me, Carl.” She laughed and said I know it’s you! I could tell a moment earlier she had no idea who that young man in front of her was. We moved to Arizona and her decline was shared in conversations with family. She was such a sweet little lady and it was sad to hear that she was fading away. One visit home, we went to see her in the nursing home and she lit up when we came in to visit. She introduced her son Jim (it was actually George) to her friends and simply referred to me as “you.” “Oh, how good to see you!” “So happy you have come to visit me.” In a way I’m glad that I only remember her as happy funny Josie and not her declining years into the world of not knowing where she was or who anyone was. Caretaker View: The role of being a caregiver to someone with Alzheimer’s or dementia can be emotionally and physically draining. Caregiving is an act of compassion, love and understanding. 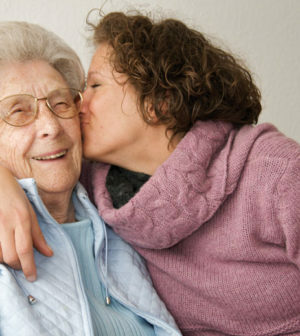 In the case of caregiving someone with Alzheimer’s, it can be especially difficult to remain compassionate and patient. We must remember that the loved one has a condition outside of their control. They are not being mean or difficult. When they repeat themselves or ask the same question for the17th time in the last 10 minutes, it is because they have limitations. We as caregivers must understand that they live only in this moment and we must deal with each moment as if it is the first time we have been presented with their concern. We are tasked with helping them have order and understanding of their daily routines. We should speak slowly, calmly, treat them with respect, speak simply with short direct sentences. We should keep the environment calm, quiet and consistent. Changes to the physical environment can be extremely disorienting, scary and/or threatening. Rely on routine. Instead of focusing on what they cannot accomplish, find ways to help them be successful in performing daily and personal tasks. Assist them in making simple decisions (either this or that), rather than facing complex or involved decisions. It is important caregivers have their own supports; such as a therapist, family members, close friends, spiritual supports or a support group. Developing a mindfulness practice of meditation, prayer or gratitude journaling may prove helpful, along with developing a sense of humor or at least a sense of the absurd. Finding respite supports are critical. Caregivers do not have to work in isolation or handle the burdens of care all by themselves 24/7. Caregivers also benefit from healthy diets, exercise and rest – a good night sleep. Prevention is still the best medicine for the caregiver as well. In the first visit with any patient, all doctors ask the same question. What is your family medical history? This is a survey question to determine what the patient might be facing in their own future health. Prevention before the onset of disease is the key to self health care. Alzheimer’s the program for brain health and prevention.